Travis Richardson is President and Owner of T. Richardson Soils and Environmental. A Certified Professional Soil Scientist and a Florida Certified Soil Scientist, Richardson is an expert soil and wetland scientist with more than 17 years of experience developing an understanding of the relationship among soil characteristics, hydrology, and vegetation. 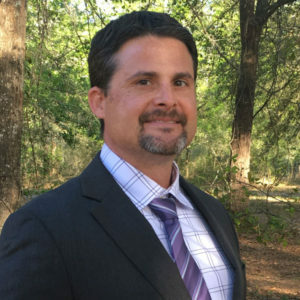 He has extensive experience implementing Ch 62-340 Florida Administrative Code to delineate the landward extent of wetlands and surface waters, including areas with substantial mechanical and/or hydrologic alterations. Richardson has experience establishing Minimum Flows and Levels, permitting environmental resource impacts, developing and implementing wetland mitigation plans, evaluating wetland functional value (UMAM/WRAP), and completed soil and vegetation monitoring. Richardson Soils and Environmental utilizes Richardson’s expertise to provide efficient and accurate assessments for clients. T. Richardson Soils and Environmental focuses on hydric soil determinations, soil classification, wetland delineation, forensic wetland assessments, mitigation, soil and wetland monitoring, environmental resource permitting, and onsite sewage and treatment disposal system design and permitting.